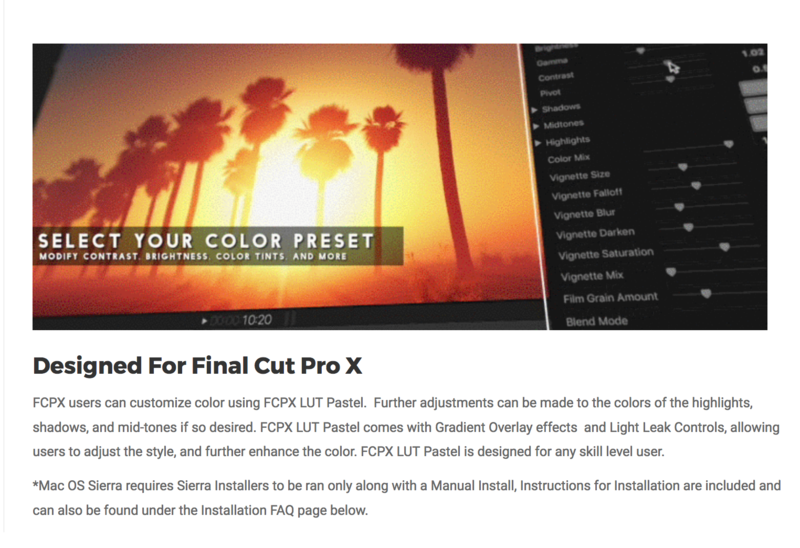 FCPX LUT Pastel is a color-grading tool designed for FCPX users. 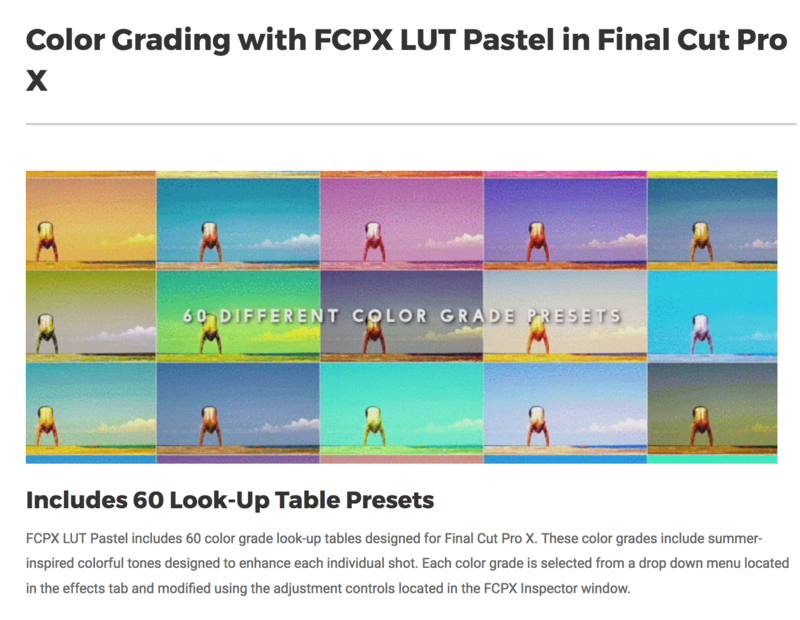 FCPX LUT Pastel comes with 60 specially designed color grade look-up table effects. These look-up table color grades breathe life and excitement into each shot. 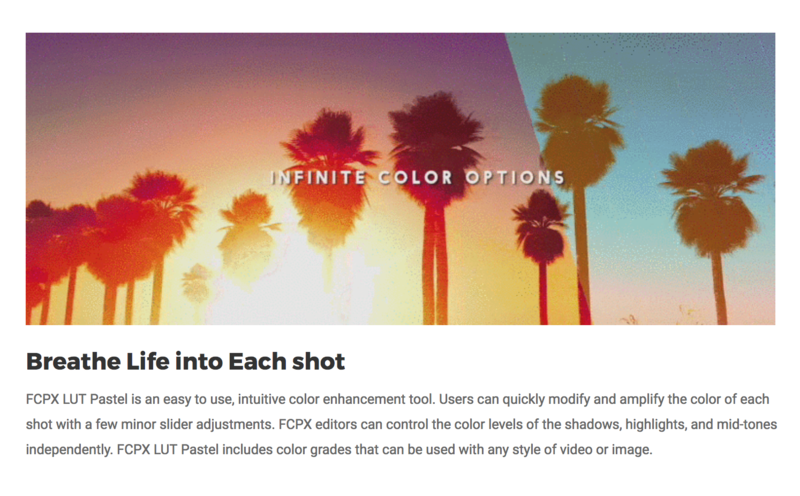 FCPX LUT Pastel contains even more flexible color controls such as contrast and brightness, adding value & versatility. FCPX LUT Pastel allows users to apply gradient overlays and light leaks for more immersive styles. 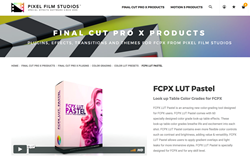 FCPX LUT Pastel is specially designed for FCPX and for any skill level. These color grades include summer-inspired colorful tones designed to enhance each individual shot. 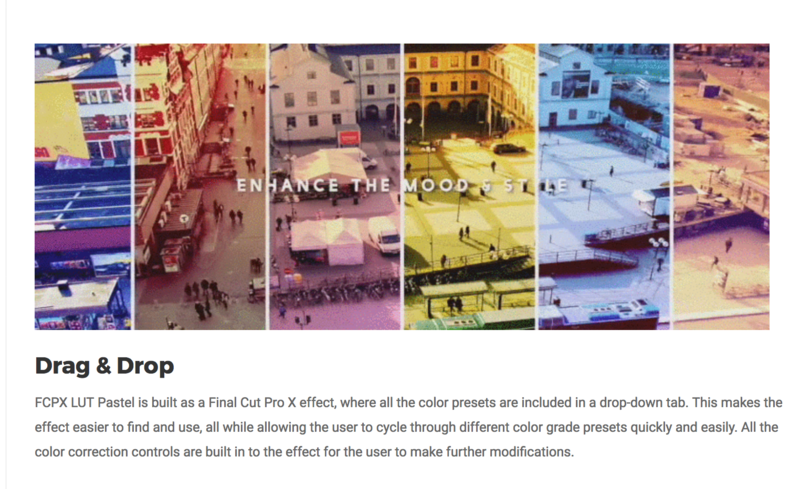 Each color grade is selected from a drop down menu located in the effects tab and modified using the adjustment controls located in the FCPX Inspector window.